Home art arts artwork blog blogging hobby creation design TV series TV series craze TV SEries Craze logo design work of art My New Artwork for TV Series Craze! My New Artwork for TV Series Craze! The New TV Series Craze Logo! Yup, one of the hottest and in-demand blog site called TV Series Craze has a new logo which is the product of my creative artwork! Take a quick glance! What can you say about it. Love it?! And before we discuss my new artwork, let us first compare my previous logo with the new one we have now! 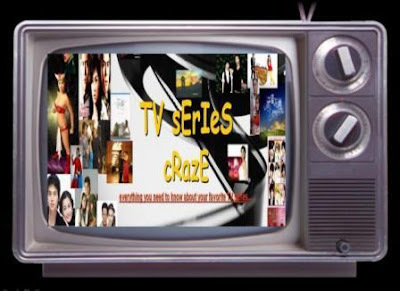 Here are the two variations of my TV series craze logo using the previous one used last year from April 2009 until August 30, 2010 and using the new one which is currently used! Try to compare and contrast them. Which of the two is better? Which do you like most? Which is more attractive? My new TV series craze logo design is somewhat hotter than my previous logo. It is inspired by the hottest TV series characters whom will truly steam up your temperature! Yup, it is sexier than my first artwork! As you can see, TV series characters were focused in my design. I put together all your favorite teleserye characters. Unlike before, I just combined all the TV series in a collage-type design. But now, it has a more touch of art! Of course, it is blended with 'sexiness' and 'hotness'! Actually this said new artwork for my TV series craze site is currently uploaded in its Facebook Fan page. You may like it here. You may even download it here in my site or in the official blog site of TV Series Craze. Just visit TV Series Craze and start having fun! A Special Graham 'Buko' Dessert! Cooking A Corn Flavored Maja Blanca! It's All About Animals This August 2010!